Owing to our vast experience, we have been successful in catering to the requirements of our esteemed clients by offering quality Worm & Worm Gears. Our range of gears is amongst the best when motion is to be transmitted between non-parallel, non-intersecting and non-coincident shafts (right angles) at a high speed ratio. Available in mild steel and phosphor bronze, these gears are in tandem with international quality standards. 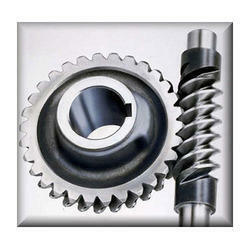 Looking for Worm Gears ?